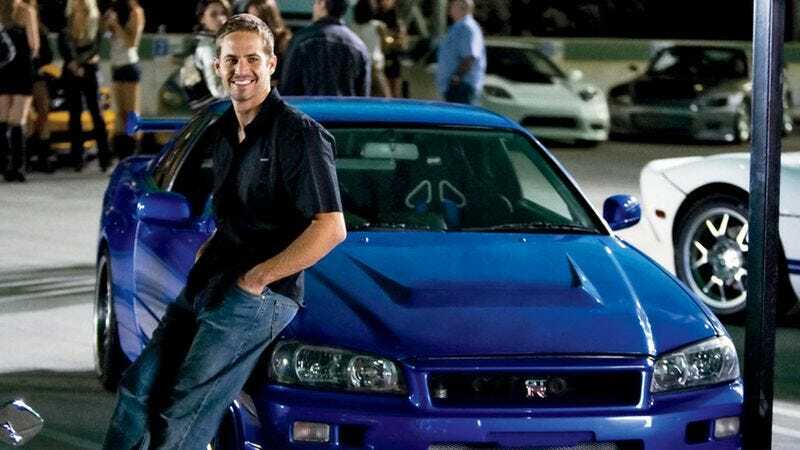 The death of Paul Walker left producers of Fast & Furious 7 facing a difficult decision on how best to move forward on a film series devoted to the thrills of reckless driving, while also sensitively handling the exit of a star who died doing exactly that. Fortunately, such stumbling blocks and moral quandaries can easily be handled by computers now: Sources close to the production tell New York Daily News that a combination of CGI, voice overdubbing, and body doubles may be used to give Walker’s character the send-off that he was promised, and that those who remember what happened to Oliver Reed in Gladiator and Nancy Marchand in The Sopranos have feared. “They have hired four actors with bodies very similar to Paul’s physique and they will be used for movement and as a base,” that source says. “Paul’s face and voice will be used on top using CGI.” While this is still being classified as an “option,” and Universal has yet to comment officially on how much of CGI Paul Walker—if any—will make it into the final film, the report says, “The studio feels confident fans of the franchise will feel satisfied with the result.” And if not, it can always just create CGI audiences who will.